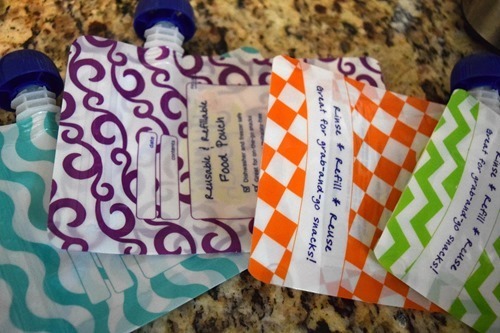 When you see these refillable pouches, I bet you think they’d be great for kids. I agree – I can see buying a jar of applesauce or a carton of yogurt and dividing them into snack sized servings. 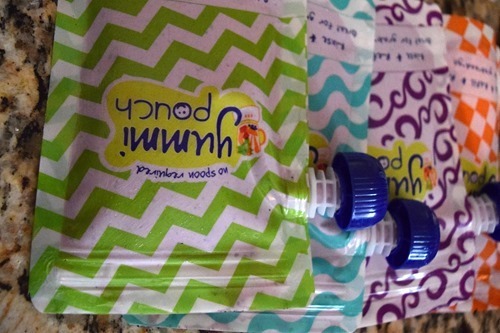 However, I also found that Yummi Pouch Reusable Food Pouches work great for adults! 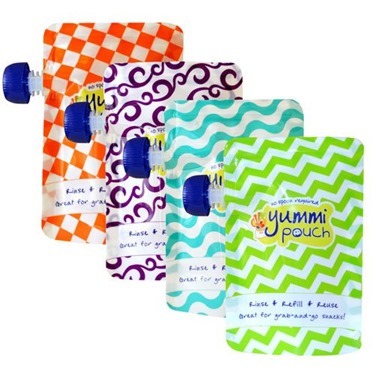 Reusable – Yummi Pouches can be filled over and over with healthy blended snacks. 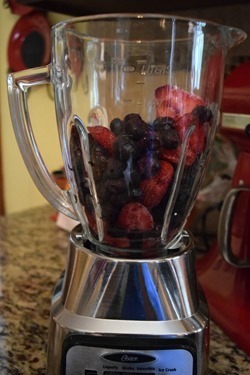 Freezer safe – Make a big batch of your child’s favorite blended snacks or smoothies. Dishwasher safe – Simply rinse with warm water, expand the pouch and stand upside down in the dishwasher. Easy to fill – Pour or spoon in food though the wide top zipper opening. Last week, when I started my diet plan, I realized I wanted to add a bit more protein. One of the options on the plan was Greek Yogurt (plain and 1%) and I thought I would like it in a smoothie with frozen fruits. I filled my pouches directly from the blender. There is a zip closure on the side of the pouches that can be opened to assist with adding food. Then, I put them away in my refrigerator, ready to grab after my morning work out! I actually had too much in my blender and stored one serving in the blender itself. When I ate that serving, it wasn’t as well-blended or as tasty as the ones in the pouches. Plus, I needed to use a spoon! With the pouches, I just drink straight from the top. The pouches even hold the right serving size for my diet plan! 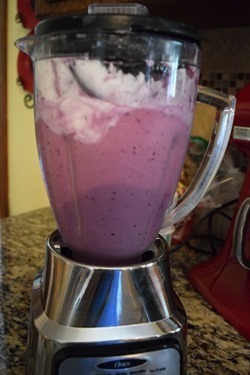 I will definitely be making the same yogurt smoothie as I continue on my diet plan. Would you drink a smoothie out of a pouch like I did? I received this product for free in exchange for my review. All opinions are mine and no other compensation was received.